I know everyone has different tools so tell me what works best for you. I'm learning the back glass with a side swiper and it just doesn't feel comfy in my hand. What do y'all use? I always keep a bulldozer, reach, and a titan handy. Those will pretty much cover any hard to reach places on the bottoms of back windows. Also, you could try the stroke doctor. 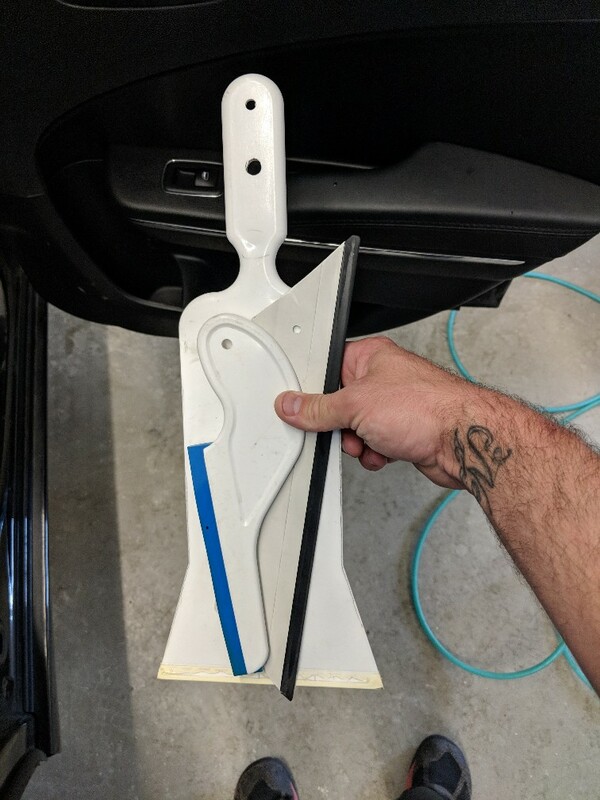 It’s similar to the side swiper, but you may be able to get more leverage with that one. This is about all I ever carry in there besides my regular tool tray. What's the tool called in the middle? Not sure I've ever seen that one before. I'm always looking to try new tools! That's a specially built, custom made, TOP SECRET new tool, designed by @jh812 himself. They are expensive,, but if you ask nicely, he will sell you one on the cheap. I couldn’t even tell tell you how long that was my only back glass tool. Still use it every day! [mention=29693]jh812[/mention] Awesome idea man. I just cut one down about the size of the Tri Edge X. Can’t wait to try it out on some roll ups! You know what that's not a bad idea. I'm gonna try that tomorrow as well. @Apex Tint yep works really well. Used it for prep and install down the sides.